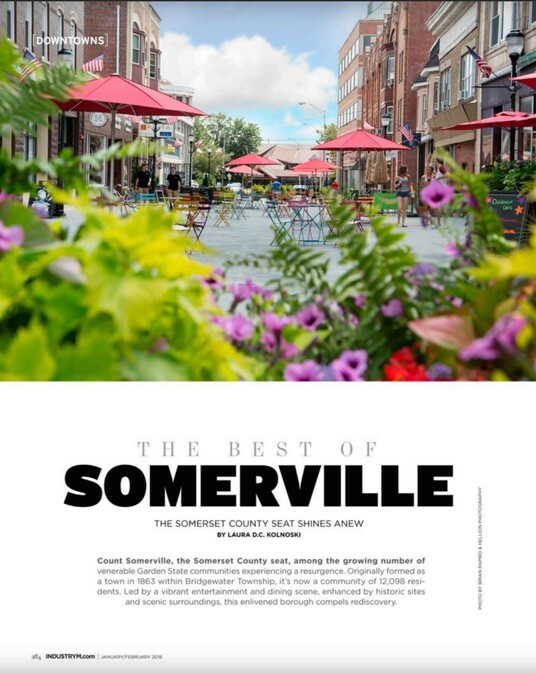 Industry Magazine has released a definitive insider's guide to Downtown Somerville that's so beautiful that you have to see it to believe it. Go directly to the spread here! Hang out in Downtown Somerville as long as you'd like! 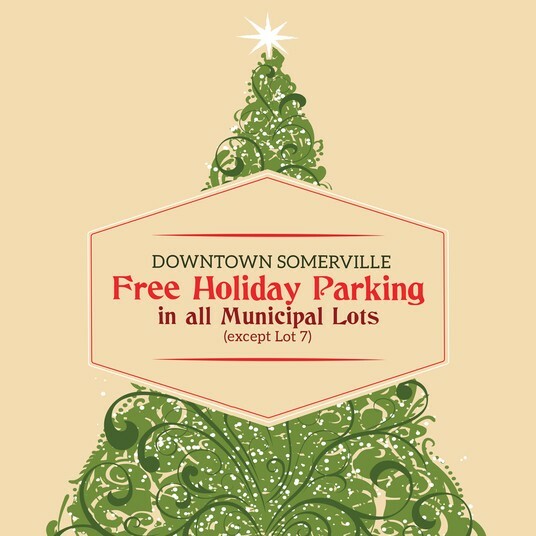 Free holiday parking is in effect from Thanksgiving through New Year's Day in all municipal lots except lot 7. Metered parking on the street remains as normal. Get Revved to Kick Off Summer this Memorial Day Weekend with Classic Cars, Entertainment, Shopping and Dining! 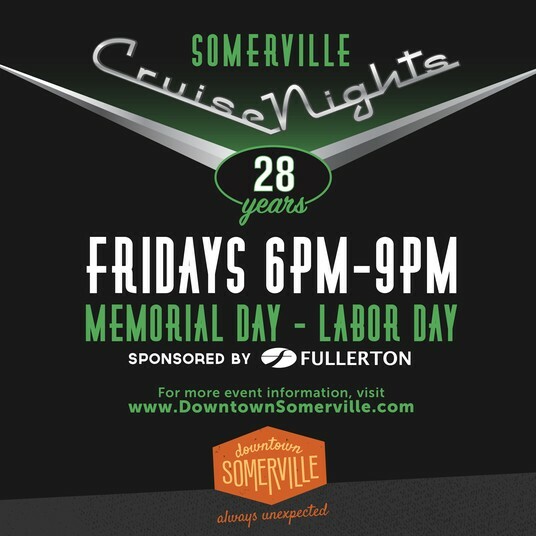 Classic cars are rolling back into Downtown Somerville for the 28th annual Cruise Nights celebrated all summer long beginning Memorial Day weekend. Classic, vintage and collector cars will line Main Street every Friday night beginning May 26 through Labor Day for one of the largest events of its kind in America. What began in 1989 as a small gathering of local auto aficionados has grown into an event featuring more than 100 classic and collector cars from all over the Tri-State area. As the popularity of Cruise Nights has grown, so has its attendance. More than 4,000 people turn out every Friday night to enjoy captivating cars, mingle with friends, browse boutiques and dine outdoors. According to Macdonald, what makes Downtown Somerville Cruise Nights unique is the location: “The event isn’t isolated in a parking lot, strip mall or field. Instead, Downtown Somerville’s vibrant setting provides the perfect backdrop for a fun summertime night on the town. WOULDN'T YOU LOVE A WARM WELCOME THIS HOLIDAY SEASON? 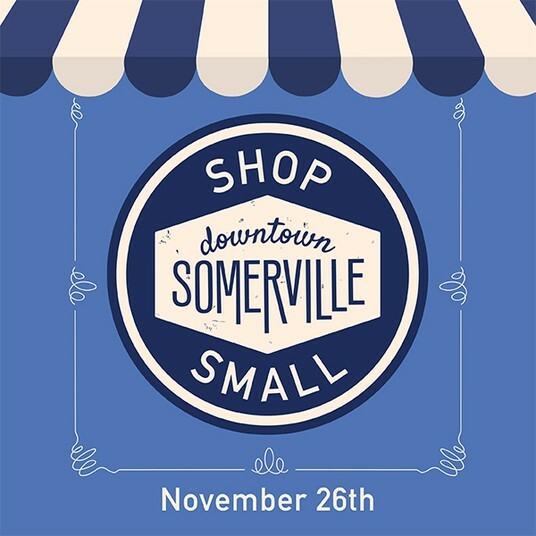 On Saturday November 26, Downtown Somerville celebrates the love and care that only lives within your local community with experiences and exclusives that you won't find anywhere else. Take a stroll around the downtown and look for the "Shop Small" sidewalk sticker in front of participating businesses to find something extra special within! If you're the type of person who would rather plan your day in advance, many stores and restaurants downtown have brochures for you that reveal a map and all of the surprises in store. During the Shop Small Celebration and every day, you can always look forward to a warm welcome in Downtown Somerville. THE RETURN OF THE SPOOKTACULAR! When it comes to Halloween, Downtown Somerville knows how to have a devil of a good time! Our family-friendly Halloween event offers fiendish fun and spooky scares for everyone. 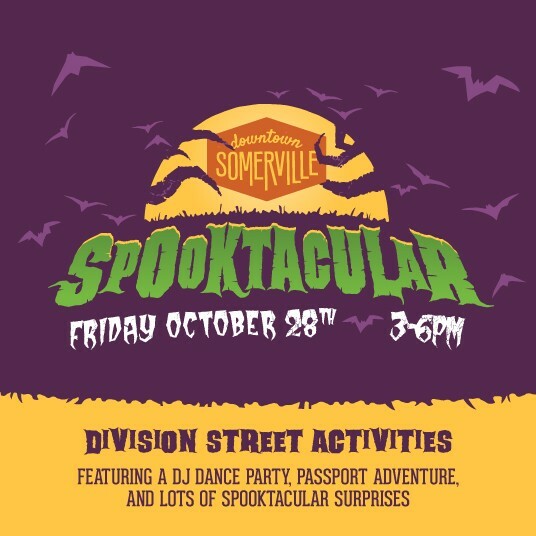 Join the Downtown Somerville Alliance and our community partner, Empower Family Success Center for master pumpkin carving demonstrations, character photos (thanks to Hellion Photography), a Halloween passport adventure, and a DJ dance party, along with lots of treats and surprises! Arts on Division begins Friday, September 16 and runs through Sunday, September 18. 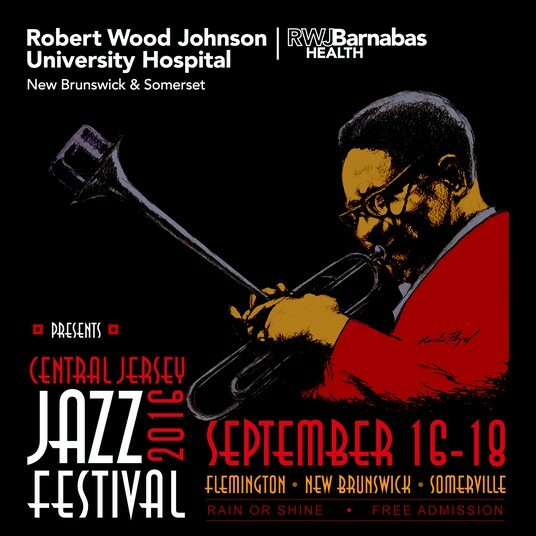 This coincides with the Central Jersey Jazz Festival, held in Somerville on Sunday the 18. The two relatively new happenings, each less than 10 years old, underscore the emerging social scene in Somerville in a brand new way. A contemporary take on art, performance and entertainment, blended with the more traditional dining and retail, is redefining the downtown experience. For the first time, Arts on Division, a three-day festival of arts, video and live performances, will overlap with the closing day of the Central Jersey Jazz Festival in Somerville on Sunday, Sept. 18 from 1-6 p.m. Friday starts the weekend with Jazz Festival performances in Flemington from 6-10 p.m. and New Brunswick on Saturday from 1-6 p.m.
Arts on Division, the charitable organization behind the festival of the same name, says its goal is to infuse the arts into life in downtown Somerville. A collaborative partnership between three county seats, Flemington, New Brunswick and Somerville, led by the Hunterdon County Rotary Clubs, the New Brunswick Jazz Project and the event originator, the Downtown Somerville Alliance (DSA), has created the largest music festival of its kind in the area in the three-day Central Jersey Jazz Festival. Rick St. Pierre, the owner of Verve restaurant in downtown Somerville and a member of the Arts on Division, Central Jersey Jazz Festival and DSA boards, notes that the sponsoring organizations behind the events understand that the arts are a critical factor in keeping their respective cities active and vibrant. Shaun Daley, who owns Gallery on Main along with Michelle Pankowski Mundt in the heart of downtown Somerville, says he has seen participation in and the popularity of the annual arts event grow significantly over the past few years. THE BEST MOVIE THEATER IN TOWN IS OUTSIDE! Why should your movie experience this summer involve sticky floors and stale popcorn? Thursdays in July and August, the Division Street Plaza transforms into “the living room of Central Jersey” with a series of classic movies under the stars. Films are projected on a giant outdoor screen with a state-of-the-art sound system, so the movie is bright and clear. There isn't a bad seat to be found; limited seating is provided, and you are invited to bring a blanket, lawn chair and your favorite snacks. Enjoy dinner before the show or grab some take-out and bring it with you! THERE'S A BRAND NEW EVENT IN DOWNTOWN SOMERVILLE...GIRL'S NIGHT OUT!! Ladies...gather your friends and sip and stroll your way through Downtown Somerville for a night of shopping, savings and surprises!! Downtown Somerville businesses will be ready to welcome you with special activities, complimentary food and drink and MORE! Click here for more details on the DSA event page. The Holidays are over, it's a brand new year and Downtown Somerville is here with all it's incredible variety of retail shops and restaurants ready to serve every tastebud and style. And we are quite accessible and very easy to get to. Click here for directions and see how easy it is to get to our little gem of a town!